Imagine going in for a routine surgery and waking up as a quadruple amputee, fighting for your life. This nightmare was a reality for Annette Ramirez. Instantly, the dedicated wife, employee and mother was completely dependent on others for daily living. That is, until Canine Companions for Independence® assistance dog Patch entered the picture. “My life was shattered after surgery,” says Annette. “I had been deeply involved in my community, family and work for over 25 years. Now I have Patch to help me do things that would be impossible as a quadruple amputee. He opens doors, picks up anything I drop and helps pay at the store.” Service Dog Patch has given Annette the confidence and companionship to experience everyday life both inside and outside of her home. Assistance dogs like Patch are being recognized August 6-12, 2017 during International Assistance Dog Week for the devotion and hard work they do to mitigate the effects of disabilities for people like Annette. The week acknowledges the heroic deeds of assistance dogs in the community and the thousands of dedicated volunteer puppy raisers and professional trainers of assistance dogs. Canine Companions for Independence created the concept of a highly-skilled assistance dog for people with physical disabilities, provided entirely free of charge to recipients. Trained in over 40 commands, independence and quality of life can improve greatly for an assistance dog team. Are you on Facebook, Twitter, LinkedIn or other social media networks? Use social media to spread the word. 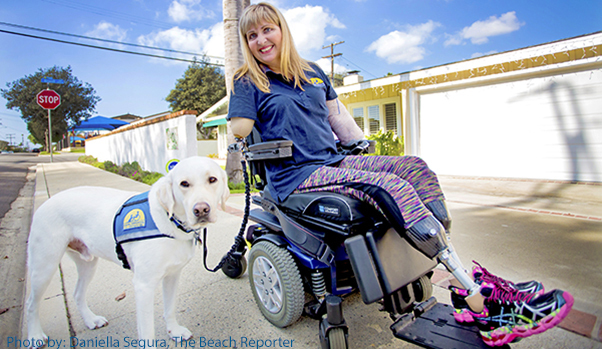 Tweet or post to your friends and ask them to like or follow Canine Companions or share our posts. Do you have a great story about your Canine Companions assistance dog? Share your story here. Make a Donation. 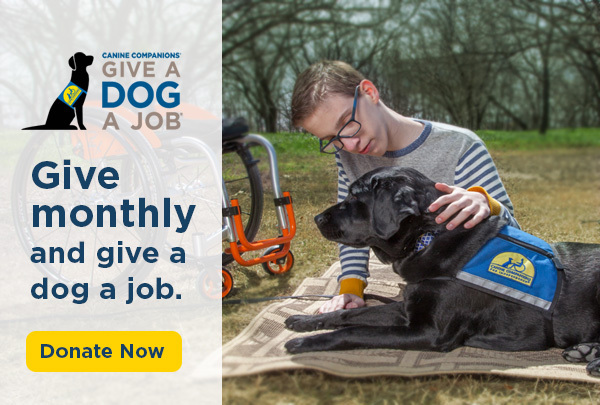 You can honor International Assistance Dog Week by making a donation in honor of a dog or person that has changed your life at cci.org/donate. Have other ideas on how to help spread the word on assistance dogs during International Assistance Dog Week? Let us know at info@cci.org.